Is Samsung ready to put behind the disastrous Galaxy Note 7? It sure thinks so. To much fanfare, enthusiastic executives from the Suwon-headquartered company bolted on stage at a media event in New York on Wednesday to unveil the Galaxy Note 8, its new large-screen flagship smartphone, and its strongest weapon to fight the rumoured iPhone 8 and new Google Pixel phones. 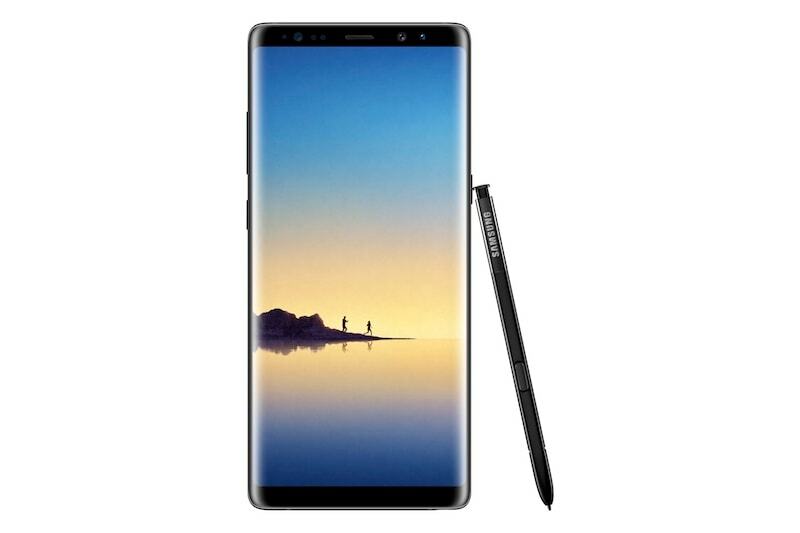 The Samsung Galaxy Note 8 – which comes in Midnight Black, Maple Gold, Orchid Grey, and Deep Sea Blue colours – will be available for pre-orders in select markets starting Thursday and will start shipping on September 15. In the US, the Samsung Galaxy Note 8 base variant is priced between $930 (roughly Rs. 59,500) on AT&T and $960 on (roughly Rs. 61,500) on Verizon. Those who pre-order the smartphone will be able to avail a Gear 360 camera or a charging bundle at no price, and Samsung is also said to be offering Galaxy Note 7 customers discounts in a bid to encourage them to purchase the Note 8. There is no word on when the company plans to launch the Galaxy Note 8 in India just yet, though Amazon India seems to be an official partner. Samsung is pulling no punches with its new smartphone. The Samsung Galaxy Note 8 is bigger than ever – literally – sporting a 6.3-inch QuadHD+ AMOLED Infinity Display of resolution 1440×2960. It is powered by Qualcomm Snapdragon 835 SoC (with some markets getting the Samsung Exynos octa-core variant), packs 64GB of internal storage, 6GB of RAM, and support for microSD card slot, should you need more space. The Galaxy Note also offers Bluetooth 5.0 and LTE Cat 16 connectivity features. For photography, the Samsung Galaxy Note 8 has dual 12-megapixel rear cameras with optical image stabilisation (OIS) on both the f/1.7 wide-angle lens and the f/2.4 telephoto lenses with 2x optical zoom. There’s an f/1.7 8-megapixel camera on the front. The Samsung Galaxy Note 8 sports a 3300mAh battery and it runs Android 7.1.1 Nougat. The device offers IP68 water and dust resistances, and support for wireless charging, a feature that the upcoming iPhone 8 is rumoured to feature as well. The Galaxy Note 8 also supports NFC and MST for Samsung Pay and features a USB Type-C port. “The dual-camera setup in the Note 8 is clearly intended to compete with Portrait Mode on the iPhone 7 Plus, but Apple is likely to move that feature forward this year too, which may leave the Note 8’s feature behind the higher-end iPhone especially,” Jan Dawson, analyst at Jackdaw Research said. Then, of course, is the signature S-Pen accessory, which the company says will enable people to communicate in “more personal ways” than ever with the Always On-display powered Galaxy Note 8. Samsung has also introduced Live Messages, that will allow people to go beyond texting in their communication with friends. With the S-Pen, users will be able to handwrite a message, add special effects and share it as an animated GIF via several popular messaging and social apps. A lot is riding on the Galaxy Note 8, whose predecessor cost the company about $5.3 billion (roughly Rs. 35,433 crores), not to mention the lost brand value.